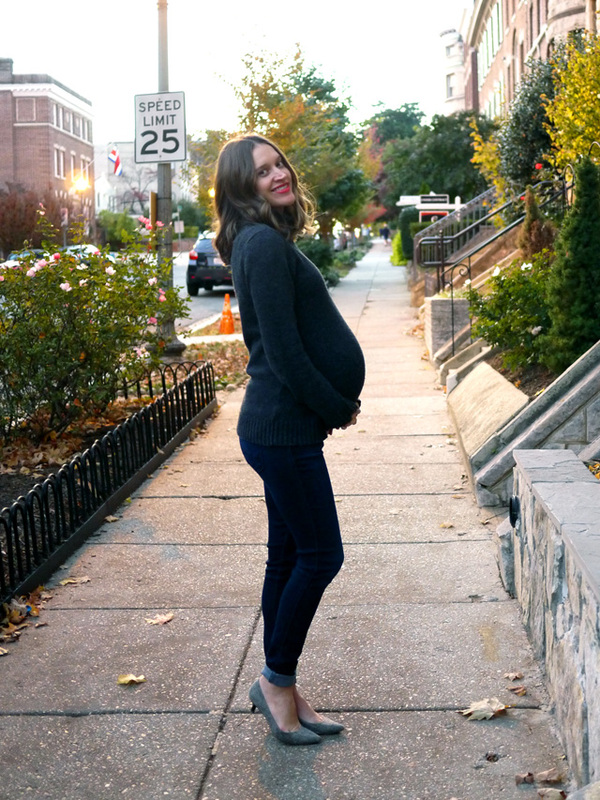 As for the shoes, kitten heels and pointy toed flats are elongating but still comfortable and do-able during pregnancy (for me, at least! ), and they've been my go-to shoes for work meetings and date night. Along with my Birkenstocks and high-tops, of course. I'll do my best to try and squeeze in a few snaps of my weekend sneaker-head outfits before baby girl joins us, at a bare minimum over on Instagram, but things are touch and go from here on out folks-- due date is tomorrow!